You may think a ruffled, polka dotted, asymmetrical blouse is too much, but it’s just the right amount of maximalism we’re into. Pair a crazy-cool shirt with a simple pair of cropped, straight-leg jeans like fashion superstar Aimee Song did. Her color-blocked crossbody bag and matching cherry red embellished Roger Vivier slingback pumps add in even more detail, without taking it over the top. Thank you again, Instagram! When we’re feeling uninspired or simply cannot figure out which sweater looks best with which trousers, social media comes to rescue us. 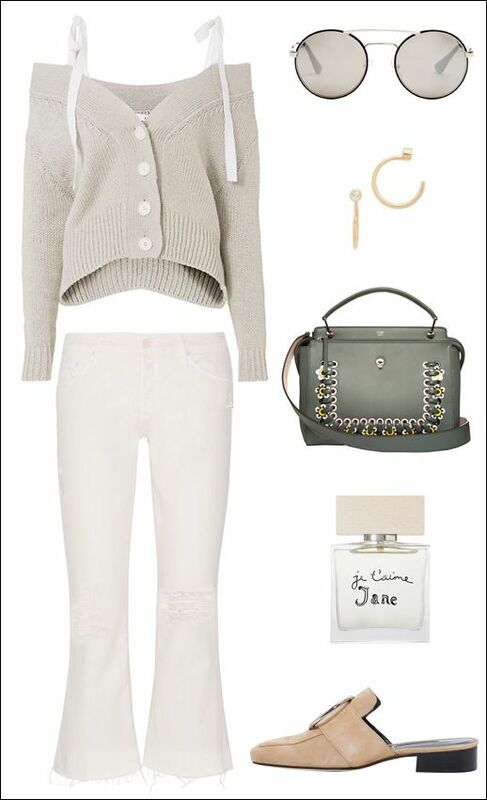 This simply chic look was found on Instagram and we’re definitely recreating it this week. Her classic white turtleneck and cropped jeans serve as the perfect juxtaposition against her matrix-like leather coat and studded heels. With all the popular shoe trends circulating the fashion scene right now (aka dad shoes, mules, block heeled boots) it can be easy to forget about the trusty over-the-knee boot. Perfect for those chilly days, these boots will keep you warm and on-trend with ease. From suede to red and vinyl, shop 9 must-have pairs of over-the-knee boots. The Canadian tuxedo has been updated, revisited and reloved all over again. Play with different hues on top and bottom or be bold and match washes. The look can easily be dressed up with lipstick, earrings, a blouse poking out from underneath the top or a pair of heels. 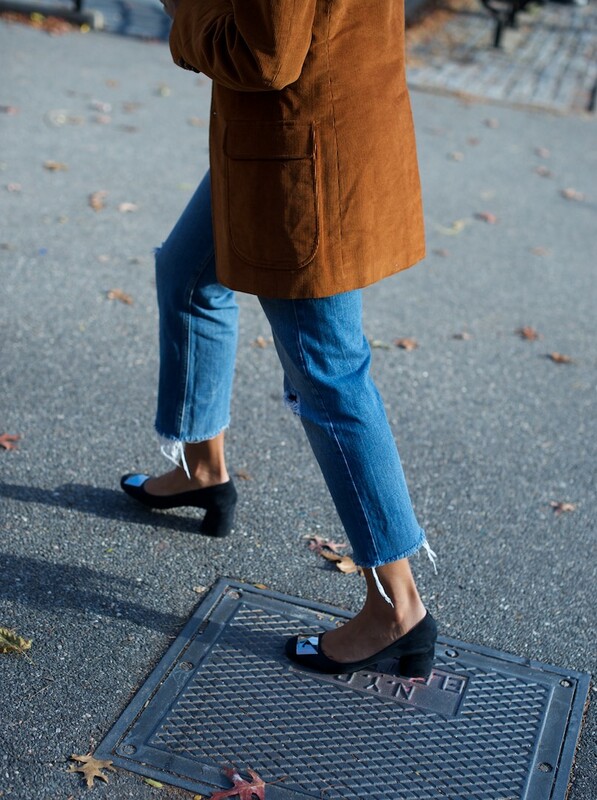 Do it like this fashion editor by picking an oversized denim shirt, straight-leg jeans and a suede pair of heels. Finally a pair of luxe heels that really are comfortable. These Taryn Rose Letizia shoes are a God send. They’re just retro shaped enough to give a nod to the fifties but mod at the same time (that curved heel!). Normally I’m not into shoes with metal fronts but these sort of work with the retro cut. The navy suede makes them easy pairings with denim and corduroy – my two ongoing obsessions and always a bonus to keep these shoes in a current rotation. Enter to win a pair of Taryn Rose shoes of your choice (up to $500 value). Click on http://tarynrose-contest.launchrock.com and enter your email address to subscribe to emails. Winner will be selected on or before January 2, 2018. The post Suede Block Heel Shoes Giveaway appeared first on Where Did U Get That. The post In A Rare Heeled Moment appeared first on Where Did U Get That. Bold velvet is still making its presence known as we continuously see the trend appearing on runways, editorials, and the street style circuit. If you aren’t fully prepared to go head-to-toe in a velvet jumpsuit or wrap dress, opt for a shoe instead. From platform mary-janes to heeled booties, velvet continues to be the fabric of choice. There is no jean as comfortable and as universally laid-back as the boyfriend jean. Although masculine in structure, when the boyfriend jean is paired with the right items it can ooze feminity. Rihanna wore hers with a baby blue, ruffle sleeved off-the-shoulder top and sparkling pointed toe pumps. This is just the way we like it. The little white dress is simply a must-have for the summer, but it doesn’t have to be short to get the job done. Update this classic piece like Jenna Dewan Tatum by picking a maxi length with a ladylike finish and adding some killer black heels. 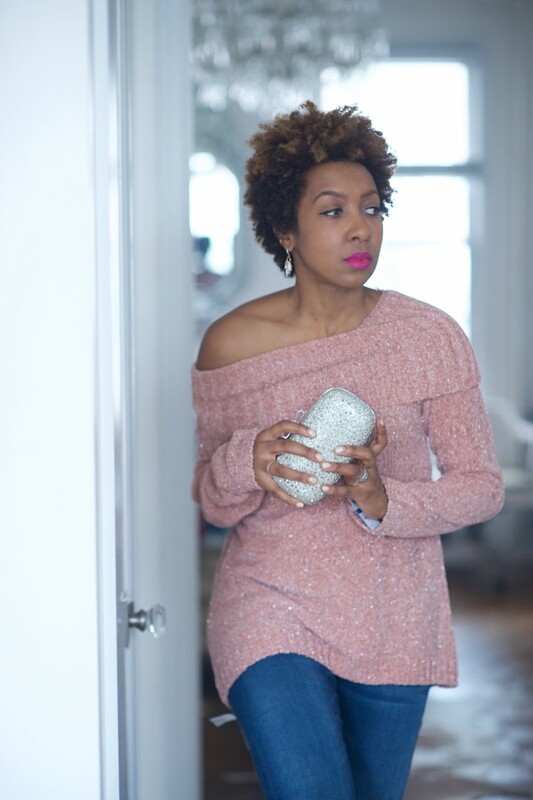 Off-the-shoulder sweaters are perfect for transitioning from winter to spring. Here are two ways to wear the trend this coming seasonâ€”think jeans and mules! If you’re work wardrobe is in need of a revamp, look no further than this chic outfit inspiration. It’s an easy way to add in this season’s trends including flared sleeves, drop earrings, and sleek mules. Italian street style star and designer Giorgia Tordini is serving up some major work style inspiration with this chic ensemble. 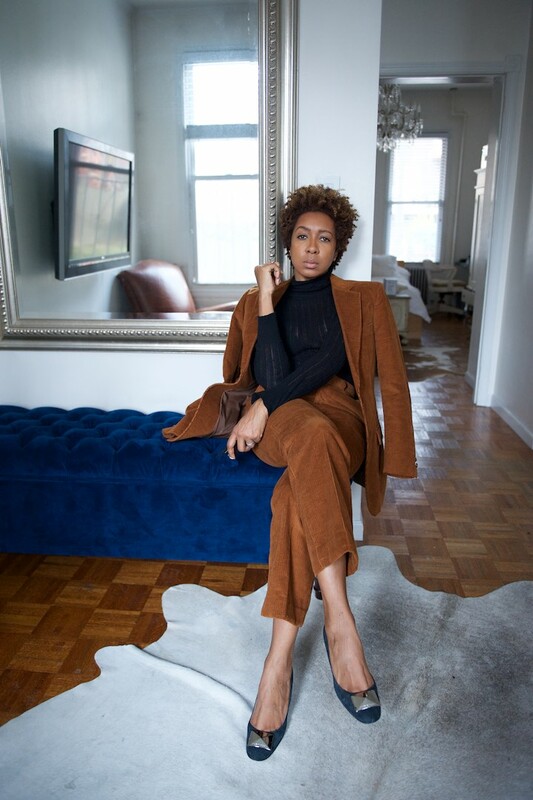 To pull it off, you’ll need a slim black turtleneck top or sweater, a long black sleeveless blazer, a classic leather watch, a mini tote bag, wide-leg pants in a camel hue, and simple pumps. We are definitely going to try to re-create this look ASAP! We’ve been seeing stirrup pants on all of our favorite street style stars this season and we think they will be huge for spring as well. It’s for that very reason why we were beyond ecstatic to come across this fashion-forward houndstooth pair that are under $50.